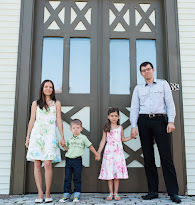 As a family of four we are always thinking "What if we'll need a bigger car?" We always wanted one, but as of now don't need one. But you know what I could always use? More cargo space! For travel and food shopping, it would make life easier. 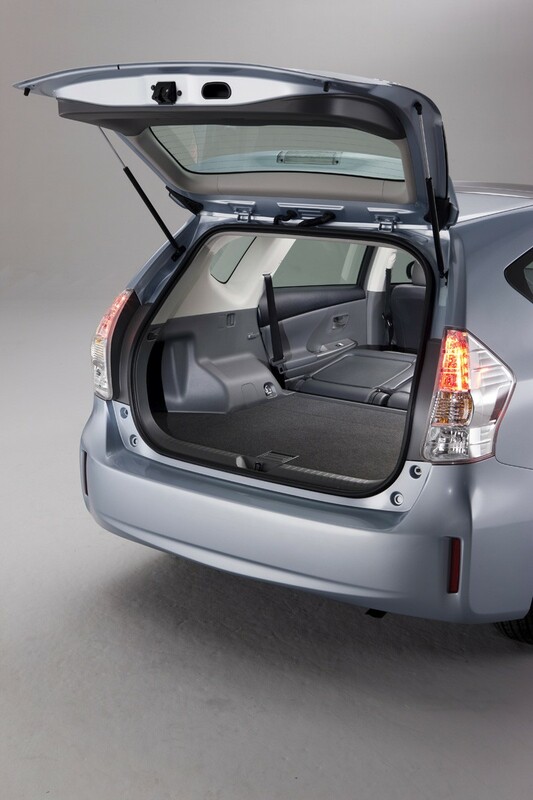 Have you seen the new Prius V from Toyota? I'm drooling over the fabulous cargo space it offers. Just look at all this space! The seats are folded down, but even with them all the way up there is so much space for groceries, strollers, and life in general. It will comfortably fit a folded jogging stroller and still have plenty of room left. It is the perfect car for small families and I'm guessing it would even fit three Diono Radian car seats in the back seat. With an average of 42 MPG your jaw will not drop as much at the gas prices, this hybrid is designed for both power and fuel efficiency. There is a host of neat safety features to keep you and your munchkins safe, from the seven air bags to a tire pressure monitor system. Of course LATCH comes standard to keep the car seats secure. Standard back up camera? Check. Display Audio with Navigation and Etune? Check. Electronic shifter, JBL GreenEdge Audio System, Advanced Parking Guidance System? All of the above. At prices starting at $26,400, you are not paying a huge premium on a hybrid. With just slightly more money spent upfront, you will catch up to it quickly considering the gas prices these days! We are taking a road trip this May and it sure would have been nice to have one of these to drive. Our four door full-size sedan doesn't have nearly as much cargo space, we could sure use more with a three year old and five month old! 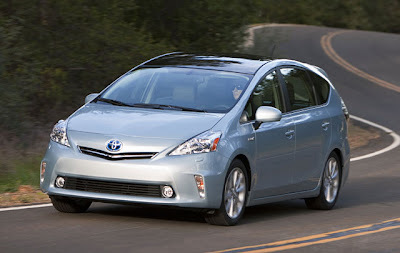 Have you seen the new Prius V? What do you think about it? I'm thinking of test driving one. What are the gas prices in your area? This post brought to you on behalf of Toyota Prius. Opinions expressed above are my own. With so much back space in our Honda VR it would be hard for me to go back to smaller car. Im so use to keeping our stroller there at all times and filling up with groceries. Although i feel like we rushed a little and as much as we were told it saves on gas, its not the case. Of course all the ++ with this car on the gas prices those days well worth it =) Great post!